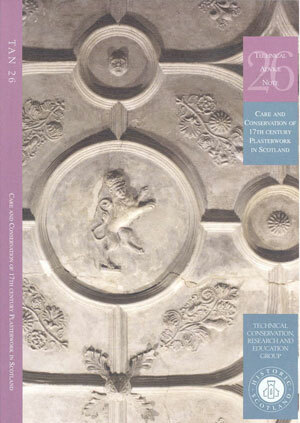 Conservation of Plasterwork Edited by Compiled and edited by Simpson and Brown Architects. Historic Scotland Technical Advice Note 2. An account of the types of plaster found in Scottish traditional buildings with advice on conservation, repair, restoration methods and specification. 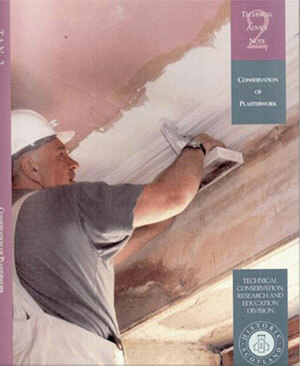 Historic Scotland Technical Advice Note 26, to be read in conjunction with Conservation of Plasterwork (TAN 2). 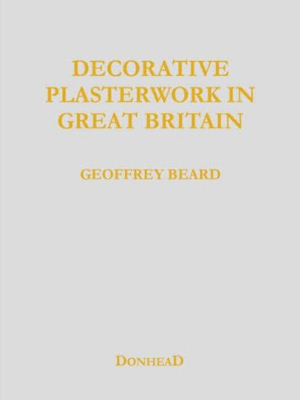 Covers a range of issues concerned with the care and repair of decorative plasterwork dating from the first three-quarters of the seventeenth century. 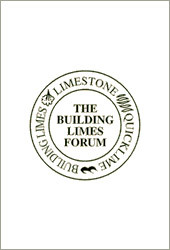 Step-by-step instructions with illustrations to show working with lime- and clay-based plasters, renders and paints from design, preparation, materials and execution. 2008, 264 pages, Lavishly illustrated. 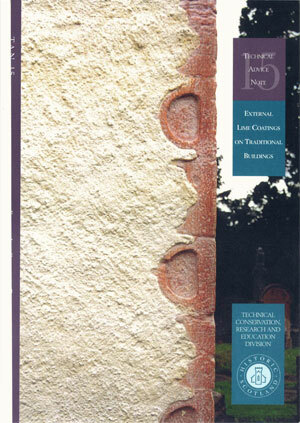 A textbook for craftsmen and specifiers. 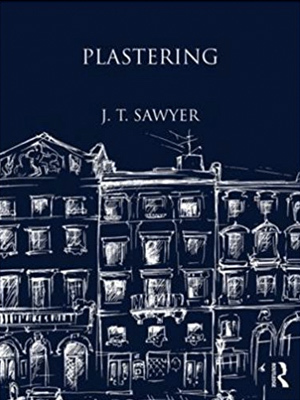 Plastering Edited by By J T Sawyer, Introduction by Tim Ratcliffe and Jeff Orton. Straightforward practical instruction on the tried and tested methods of plastering including the tools, running moulds and geometry for setting out. 1951 (facsimile 2007) 144 pages, hardback. 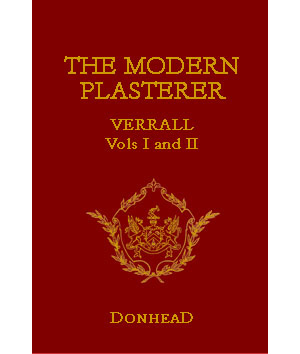 The Modern Plasterer Edited by By W. Verral, Introduction by Tim Ratcliffe and Jeff Orton. 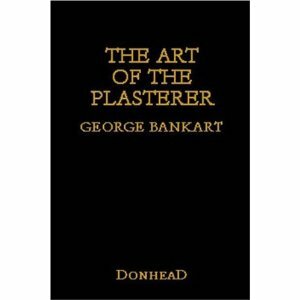 An invaluable source of information, not only for plasterers but also for designers and specifiers who want to understand plastering methods and materials better. c1930 (facsimile 2000) 456 pages, 342 figures, 16 plates, hardback. 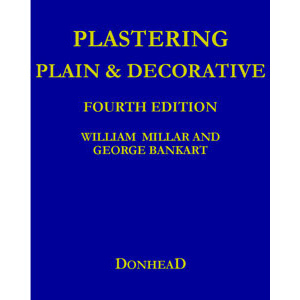 Plastering Plain & Decorative – 4th Edition Edited by By William Millar, rewritten and revised by George Bankart. Introduction by Tim Ratcliffe and Jeff Orton. Millar’s 1897 text revised and four new chapters added (on lime-stucco, modern plasterwork, modelling in relief and exterior plastering and sgraffito). 1927 (facsimile 2009) 496 pages, hardback. A real attempt to understand the historical development of the craft and a good insight into the ideas and ideals that Arts and Crafts designers were seeking to follow. New introduction by Tim Ratcliffe and Jeff Orton. 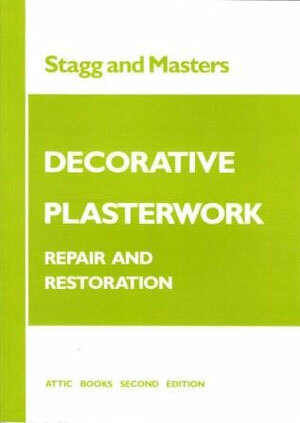 Plastering, Plain and Decorative Edited by By William Millar, Introduction by Tim Ratcliffe and Jeff Orton. Still viewed as the plastering bible. A comprehensive coverage of traditional plasterwork, including everything from plain lime plastering through to hand modelling and cast plasterwork. 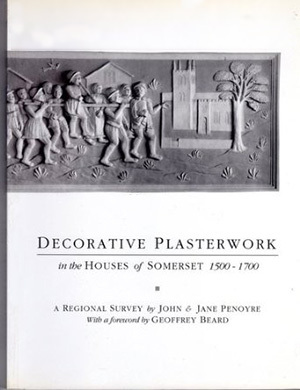 Decorative Plasterwork in the Houses of Somerset 1500-1700. Sources, style, symbolism, the crastsmen, technique and conservation. Gazetteer and a glossary.